Let me share a bread recipe with you. It is incredibly simple but so delicious. It's the perfect recipe to use to introduce new bakers to bread because it's so straightforward, unfussy, and reliable. It produces a loaf of bread like those soft, light-as-air baguettes that you see at grocery supermarkets, but it's BETTER because it's fresh and homemade. And it takes just 2 hours start to finish! This isn't a recipe for bread snobs. It's not a long-developed, complex loaf of sourdough or a butter laden product of precise technique. It's throw together, throw in the oven, and enjoy. Just a note about the recipe: the method of developing the dough is a little unusual. It's a little like the stretch and fold method of sourdough, but I've never seen it used for any other commercially yeasted doughs. I'm not sure if it's better than the usual method but I know that it works for this recipe so I haven't messed with it! Just be aware that it requires you to be near the dough during the first rise. Add oil and mix with a sturdy wooden spoon. Add flour and salt and beat well with the spoon for about a minute. Set a timer for 10 minutes, cover with a towel, and let sit. After the ten minutes, beat the dough for about a minute. Set the timer again for 10 minutes, cover, and let sit. Repeat this five more times. On a floured surface, shape into a loaf. Let sit, covered, for 30 minutes. With about 10 minutes to go, preheat the oven to 350. When the loaf is ready to bake, give it a few slashes and pop it in the oven for 30-35 minutes, or until browned. This recipe can be easily doubled. 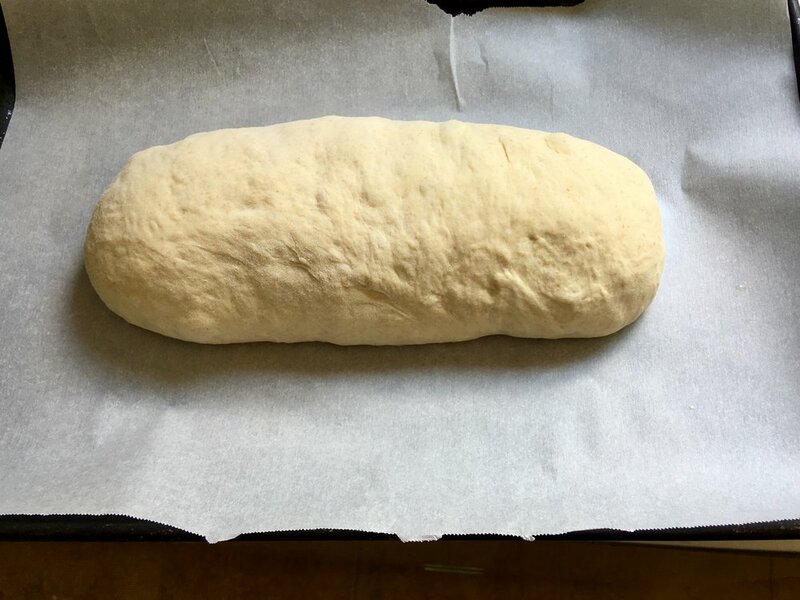 You can also shape the dough into rolls or breadsticks, just bump the oven up to 375 and shorten the baking time to 15-20 minutes. You can use honey in place of the sugar and up to 1 1/2 cups whole wheat in place of all purpose flour. I use my mixer for this. I use the paddle attachment and just keep it in the dough for the 10 minute rests. If you want to be certain the loaf is done you can use a thermometer. An enriched dough like this is done around 180 - 190 degrees farenheit.